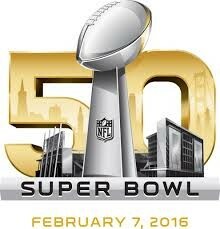 Hello, hello, and welcome to TV Talk’s article about the commercials of Super Bowl 50. Yes, the amusing sideshows for patrons of America’s great pastime and the saving grace for bored friends that you dragged to the Super Bowl party have come yet again to delight and or horribly confuse you! I’m just here to share the ones that stood out to me. Let’s kick it off, shall we? Probably the second weirdest on the list, “Super Bowl Babies” is about… well, people singing about how they were conceived shortly after a victory at the Super Bowl while running through the countryside in graduation-esque gowns that are colored with their respective teams. Yeah, it’s one of those commercials. While definitely odd (and clearly a time filler), they’re still pretty intriguing and kinda laughable if they catch you off guard. Simply put: A cowboy rides a bull out of an airplane and eats a Butterfinger candy bar while his mom scolds him for spoiling his dinner. All the while, a narrator is constantly gushing over how boldingly bold the bold situation is boldly being bold. You know, I really don’t want to give this one away. You can probably guess what it is by the advertiser, but to ruin this little gem would be criminal. All I’ll say about it is that it’s definitely my favorite of the year. What in the name of all that is holy did I just witness? This… commercial (if it can even be called that) is the weirdest and worst commercial on this list by a country mile. I’ll leave a link at the bottom, but beware mortal, if thou choose to watch it, Puppymonkeybaby shall surely toll the bell for your soul. Ph’nglui mglw’nafh Cthulhu R’lyeh wgah’nagl fhtagn. So there you have it. Five of the Super Bowl commercials that made an impression on me. Here’s to the Broncos for winning the day (despite a few aggression penalties) and here’s to another year of Super Bowl commercials (and many more)! The puppymonkeybaby was beyond disturbing. I did enjoy the super bowl conception commercial at the end of the game where they put all the people together. Cool to see the 1967 Packers super bowl conception babies!